We inject expert legal advice at critical growth moments for start-up and early-stage emerging technology companies. The legal services your business needs to reach its potential, provided by Canada’s leading law firm. 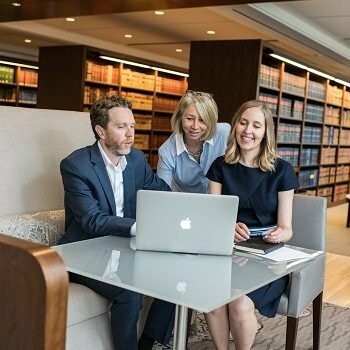 To show our commitment to providing flexible and subsidized legal services to qualified emerging companies in the technology space, we are allocating an initial $1 million worth of legal services across a broad array of expertise to allow emerging companies to access top-tier legal services tailored to their stage of development. Nitro powered by Blakes is specifically designed to meet the legal needs of emerging technology companies. Our current focus is in the Toronto – Waterloo Region Corridor and in Vancouver, BC. We plan to expand nationally in the coming months. Nitro is our unique project offering for companies in the seed and growth phases of their development. Nitro is designed to help guide and manage progress – and reduce cost and risk.